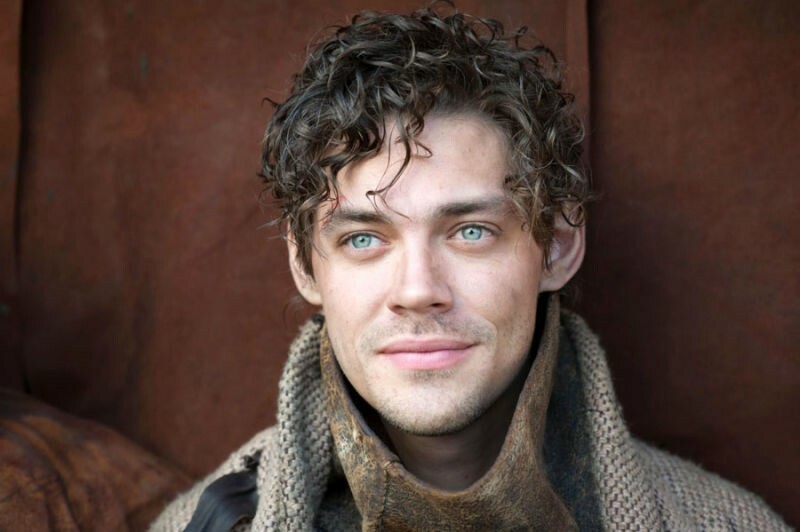 "The next coming of Jesus"
Luck alum Tom Payne will play the character Paul "Jesus" Monroe in the upcoming season of The Walking Dead. Payne is an English actor who has previously worked in popular TV shows and films including the British teen drama Skins and the Dustin Hoffman-led HBO series Luck. Fans of the comics should recognize this major character from the Hilltop Colony. In the comics, Paul "Jesus" Monroe gains his nickname because of his long hair, facial hair, and otherwise similar appearance to the biblical savior. He's introduced in the 91st issue of the comics. Jesus will be a recurring character in the sixth season, and actor Tom Payne has an option for season seven, meaning he could be around for quite a while. Currently in the comics, the character of Jesus is still alive. The coming of Jesus to The Walking Dead could also signal the arrival of another major character from the comics. According to the Facebook fan page The Spoiling Dead Fans, a casting call for the season six finale lists a character named "Orin" who is described as "30s to mid 40s" and is a "fun loving sociopath that is both a leader of men and a killer of men." Some fans have speculated that "Orin" is a code name, and that this casting call is actually referencing Negan, a major villain in the comics. [caption id="attachment_74896" align="aligncenter" width="551"] Tom Payne in the film The Physician. Photo from UFA Cinema. [/caption] Previously, showrunner Scott M. Gimple told The Hollywood Reporter that the introduction of Negan to the TV series might be too "challenging," but this recent casting call could hint that the show will stay true to the original series and the big battles that lie ahead. Nothing has been officially announced yet regarding Negan. The sixth season of AMC's The Walking Dead crawls onto the screen on Sunday, October 11th, just in time for Halloween season.